It’s that time of year again in Miami: Art Basel 2018. Ahead of Miami Music Week and Winter Music Conference festivities which commence every March, Art Basel has been dominating the city each December. Drawing thousands of music, art, and culture enthusiasts, Art Basel culminates the very best of each for a weeklong string of events, installations, and like-minded individuals. On Friday, December 7, Denial Events presents Paul Oakenfold for a night of perfection. Enter to win a pair of tickets for the event from The Nocturnal Times, below. *All entries must be submitted by Wednesday, December 5 at 10PM EST. Entrants must be willing and able to attend the event on Friday, December 7. This year The Nocturnal Times has partnered with Denial Events to offer our readers and followers a discount code. We hope you’re thankful this season — because we’ll be celebrating CYBER MONDAY all week long. When completing your order, use the code NOCTURNAL at checkout to receive 20% off your entire order. Tickets are available at rpmbasel.eventbrite.com. 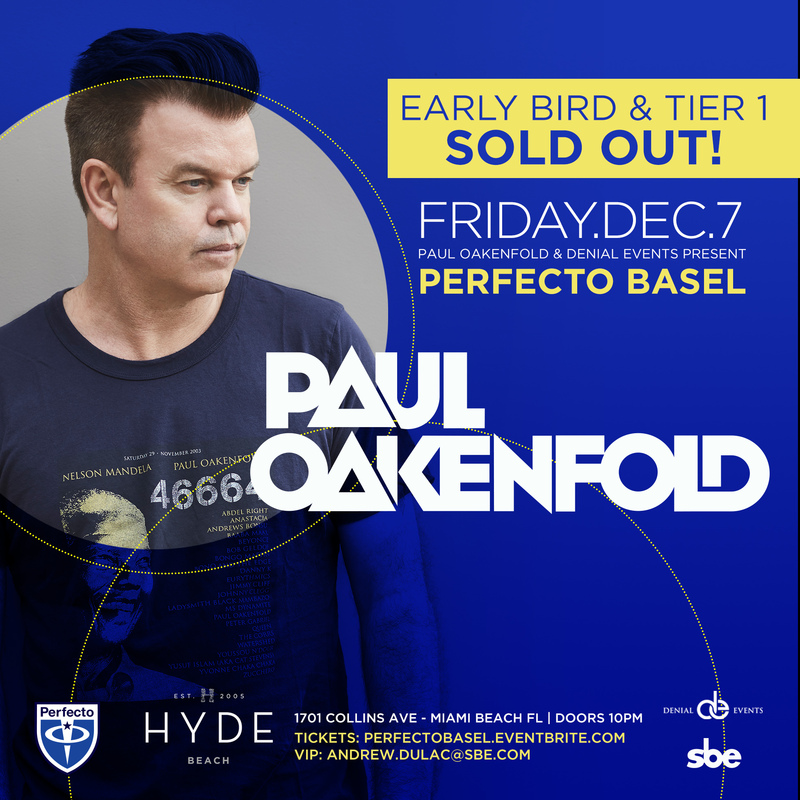 Perfecto Basel with Paul Oakenfold takes place at 1701 Collins Avenue, Miami Beach from 10PM – 3AM.